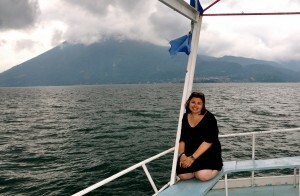 Briana Bardos ’15 (CLAS) researched the effects of social entrepreneurship on women’s political and economic participation in Guatemala. We live in a globalizing world. Every day, each of us encounters people, forces, and events that require us to think and work across traditional political, social, cultural, and geographic boundaries. As a result, the Office of Undergraduate Research, in collaboration with the International Studies Association’s Headquarters and UConn’s Office of Global Affairs, is seeking proposals for undergraduate research in the international studies field. Focus on a social science project that spans across countries, regions, or the globe. Single country studies will be given lower priority. Budget requests should be for no more than $1,000 and must clearly explain all requested expenses. Travel to conferences to present research will not be funded. However, travel to conferences for research purposes will be considered. Travel costs incurred as part of UConn coursework are not eligible for this award. Students should clearly specify the topic, theory, and methods of focus in their proposal. It can take up to 6 weeks for an ISA Award to be approved and for funds to be disbursed, so early application is encouraged. You must apply a minimum of 4 weeks before you travel. Applications are reviewed on a rolling basis and awards are made until funds are exhausted. Students who receive an ISA Award for Undergraduate International Studies Research are required to present their work at a Frontiers in Undergraduate Research Poster Exhibition during the academic year in which they receive the award, or the following fall. Must be an undergraduate enrolled full-time at any campus of the University of Connecticut. Eligibility for funding through Office of Undergraduate Research award programs is restricted to students currently pursuing a bachelor’s degree at UConn. This includes students pursuing Bachelor of Arts, Bachelor of Fine Arts, Bachelor of General Studies, Bachelor of Music, Bachelor of Science, and Bachelor of Science in Engineering degrees. Must complete any travel associated with this award before graduating from their bachelor’s degree program. Must have a minimum cumulative GPA of 3.0. Must have their faculty advisor on the project submit a recommendation form. May not receive both an ISA Award and an OUR Travel Award during any given academic year. If the project involves research with human subjects, no funding shall be disbursed until the student submits all necessary documentation of Institutional Review Board approval. Students engaging in international travel for academic purposes must register with UConn Global Affairs – Education Abroad in accordance with the UConn Student International Travel Policy. Students will be automatically enrolled and covered by Cultural Insurance Services International (CISI) Health Insurance for the duration of their trips upon their completion of the UConn Education Abroad student travel registration form. Learn more about health insurance costs and the Education Abroad registration procedure. ISA Award recipients must present at the Frontiers in Undergraduate Research Poster Exhibition in the spring of the academic year in which the award was received, or the following fall. Recipients must submit a Research Experience Completion Form to the Office of Undergraduate Research by the deadline specified in their award letter. The completion form will be shared with OUR’s program partners (ISA and Global Affairs). The 2018-19 online application is now open: apply here. A complete application consists of the online application and a recommendation form submitted by your faculty advisor for the project directly to OUR. A project proposal. In three double-spaced pages (1-inch margins, 12-point font), your project proposal should include an introduction to the project topic, a brief review of relevant theory and literature, and a description of methods and planned analyses. References are not included in the 3-page limit. A budget worksheet. Please use this ISA Budget Worksheet to generate an itemized budget for your travel and justify those expenses. Budgets may include supplies, services (e.g., translation), participant incentives (as approved in your IRB protocol), and travel expenses (transportation, lodging, parking, meals, etc.). Students applying to conduct research internationally must also upload a completed ISA Supplemental International Travel Questions form. We encourage you to share your application – including all the items listed immediately above – with your faculty advisor so s/he can refer to them when completing the recommendation. 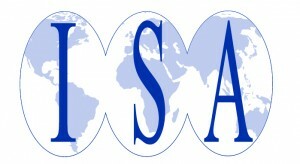 It is advisable to review the ISA Award Outline prior to completing the online application. The outline lists all the questions you will need to answer and the types of information you will need to provide in the online application. Please note that the final question on the application will ask you to certify that you have prepared your application materials in accordance with University standards for academic integrity. Learn more about academic integrity. Faculty advisors are asked to complete the ISA Award Faculty Recommendation. Your assessment of the quality of the student’s work to date and the necessity of this funding for the achievement of the student’s goals are critically important to the review process. The project proposal is well written and clearly explains the project. The student articulates the importance of the project, demonstrates familiarity with relevant theory and literature in the field, and presents a plan for data collection and analysis. The student and his/her project meet the eligibility criteria. The budget is itemized, justified, and appropriate to the project described. The student has secured research compliance approval(s) if necessary for the project. No award will be issued until documentation of these approval(s) is received. The faculty advisor endorses the student’s project and rates the student’s work to date highly. Preference will be given to projects that span across countries, regions, or the globe. Single country studies will be given lower priority. What kinds of projects are considered “social science projects” for the purposes of this award program? How are ISA Awards disbursed? I will be driving my own vehicle as part of my travel. Is that an allowable expense? I am planning international travel. Are there any restrictions on international locations to which I can travel? I have questions about ISA Awards. Is there someone I can speak with? The social sciences are broadly concerned with the study of society and the relationships among the individuals, groups, and institutions that compose a society. Eligible projects will use the theories and methods of one or more social sciences to explore a topic in international studies, itself an interdisciplinary field. Projects drawing on frameworks and approaches from economics, political science, sociology, anthropology, communication, human geography, and human development and family studies — or combinations of these fields — are eligible. It should be emphasized that the nature of the project determines suitability for this award program, not the student’s declared major. OUR staff will be in contact with you to gather any additional information needed for UConn’s travel pre-approval process. Once all approvals are in place, the award funds will be posted to your fee bill. Once posted to your fee bill, you will be able to request a refund from the Bursar’s Office. Learn more about requesting a refund. If you will be driving, you can request that the expense be covered using the prevailing mileage rate multiplied by the round trip mileage. See the UConn Travel Services website for the current rate (scroll down to the bottom of the page). The University will not permit or support travel to any country with a U.S. Department of State Travel Warning or Travel Alert except pursuant to a Waiver approved by the Provost under the Policy for Education Abroad and Related Activities in Sites with a U.S. Department of State Travel Warning/Travel Alert.